Posted on 2012/08/09. Used Food, Lifestyle. Speaking of Japanese breakfast, you know what that brings to mind? Steamed rice, baked fish, cooked vegetables, miso soup and some pickles? 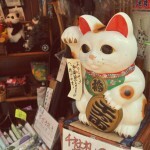 Such traditional Japanese breakfast, however, is less popular with young people today. 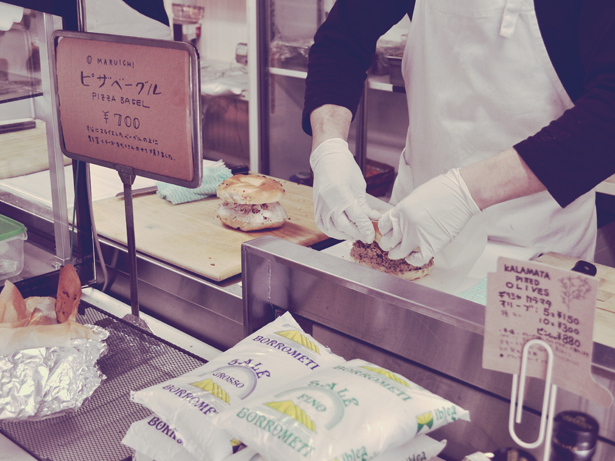 More young Japanese now prefer bread or cereal, as they can be prepared quickly. Eating Bagels for breakfast is my favorite. 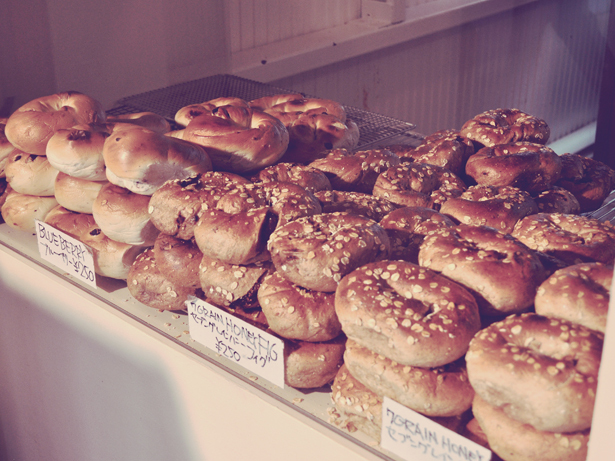 Bagels have become common in Japan in recent years. 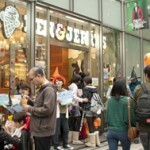 Popular bagel shop “MARUICHI BAGEL” in Shirokane-takanawa (白金高輪). 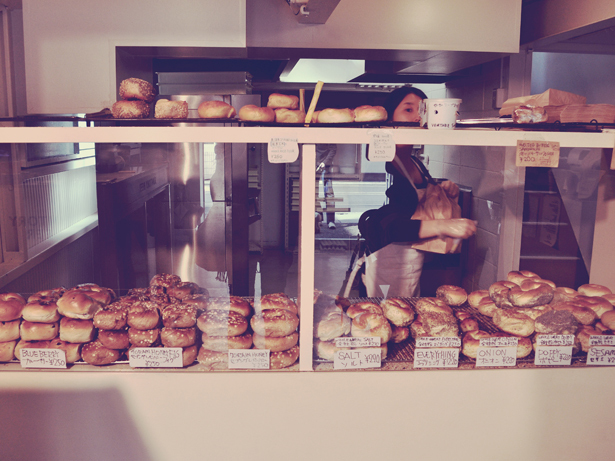 This shop sells New York style bagels, and is my recommendation. There are many kinds of bagels that I can’t decide what to eat! You can choose and then order the bagel sandwich fixings. Onion bagel with creme cheese and dried tomatoes! Yummy! Having bagels in a park, especially in the cherry blossom or the foliage season, is the best thing to do! *The bagels are sold out in the early afternoon. 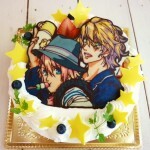 How about Anime Cakes for your precious one?